Since the scale is logarithmic with each interval (half-step) being a constant multiple of the previous frequency, why didn't they just name the pitches A to F with each note having a half-step #/b in between? You would then have a B#/Cb where C is currently, and E#/Fb would fall where F# is currently. Consequently there would be no need for G/G# in the nomenclature and everything would follow a logical progression. Having to adapt to B-C, and E-F being half-steps, but the other natural notes having a whole-step distance between them gets confusing when you first learn. One is the historical perspective: that musical notation developed over several centuries, and as such we didn't sit down to develop the most logical, efficient system. Many of these issues are amply covered in Why is music theory built so tightly around the C Major scale? and Why are notes named the way they are? But perhaps more importantly, your system results in an oddity when we consider that most basic element of Western music: the scale. Most scales are heptatonic, meaning they are comprised of seven note names. In your six-step musical system, a music scale would therefore require two types of one note name. The A scale in your system, for instance, would be A B C C♯ D♯ E♯ F♯ A or A B C D♭ E♭ F♭ A♭ A. It's much more intuitive to have a heptatonic scale include just one of each note name. 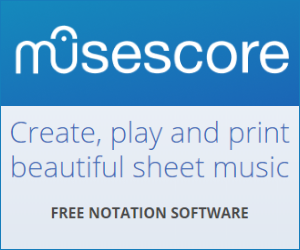 Lastly, there's the practical reason: who is going to translate centuries worth of music into this new form of notation? If I understand your meaning, the natural letters A B C D E F in your system would all be one whole steps apart and create a whole tone scale. That might seem logical, but it doesn't reflect the fact that the whole tone scale is not the basis for western music. ...where W means whole step and H means half step. The letters were assigned to the tones of that asymmetrical pattern of whole/half steps. Sharps and flats are used to transpose that pattern to various starting tones. The system can get messy. I try to think of it as a combination of two series of tones - one in base 7 counting and the other in base 12. If the clock - using base 60 and 24 - gets a little confusing when calculating times, then music gets a bit confusing using base 7 and 12 and transposing asymmetrical patterns. You can translate the crazy music patterns from letters and sharps and flats to purely numeric sequences (like in a computer program) and that may feel more like pure logical patterns, but I don't think it helps with reading staff notation. You can add music to the list of crazy systems evolved in our culture like the clock, the calendar, and the entire English language! Actually, based on overlapping hexachords, the letter "A" does (in some sense) represent the lowest tone (it does on an 88-key piano, but not necessarily on others.) The "modes" were rotated major scale patterns starting on D, E, F, or G. Each mode had a "plagal" version (lower range) using the same interval pattern but starting a fifth lower; "hypodorian" had A-A to a range. If these are overlapped, the A of the D-mode is the lowest note. Thus the pattern starts with A. Later a lower note "G" was added (probably because some singer had a good low voice) below the other notes and given the name G-ut or Gamma-ut in Greek and using "ut" and older version of "do" givies the word "gamut." A music developed the (unnamed) modes on C (and A) became more prevalent (and got the names Ionian and Aeolian) so modern theory describes things in terms of the C-scale. Your scale ignores the relationship between sound and the overtone spectrum. You know what's missing on that table? It's the factor 2^(6/12). This factor is not close to any nice, small fraction, and cannot be found in the overtone spectrum. The associated interval sounds quite displeasing, and it's very rarely used in music. You see, this scale is fully built upon the factors 3/2, 4/3, and 5/4. The minor scale, and the other common modes like the dorian, use the same factors between the notes, they just change which note is perceived as the base note. TL;DR: A scale with constant spacing between the named nodes is deeply impractical because it excludes the most important intervals (perfect fourth and fifth), but includes the most glaring interval (tritone). Why are only even values used for note duration? Terminology for harmony using only root notes or root notes an non-chord scale tones? Why are double flats used instead of another note with a flat/sharp/none?